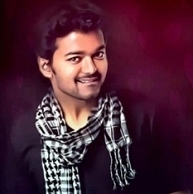 Vijay to continue his dream winning streak in Puli? One of the most awaited movies, Puli features Ilayathalapathy Vijay, Shruti Haasan and Hansika in the lead roles. This semi-period film directed by Chimbudevan will have Devi Sri Prasad’s music. Puli is said to have 6 numbers. DSP has already completed three songs for Puli, of which one has already been canned. Now we have information that will please all Vijay fans. Our sources close to the team have hinted that Vijay will continue his dream winning streak as singer. Since Thuppakki, Vijay has sung one song in each of his movies. From Thuppakki’s Google Google to Kaththi’s Selfie Pulla, all the numbers have been smashing hits. To add to this Shruti Haasan, the multifaceted actress is also expected to sing in the film. Anirudh's next hero is Ajith? "Nayan has no airs and is very professional"
Everything You Need To Know About - Pookkalae Sattru Oyivedungal! The Behindwoods Film Festival - First of our big events of 2015 ! Ram’s film for Cannes Film Festival? Quarter Century For Rajini And 75 Not Out For Vijay! Vijay To Announce The Title! Ela! Ilayathalapathy-oda Kaththi Celebrations Ku Ready Aavaliyaa? People looking for online information on DSP, Ilayathalapathy, Puli, Shruti Haasan, Vijay, Vijay 58 will find this news story useful.